I recently switched platforms for Simplify Days and am working on migrating content over to this new home. In the meantime, be sure to snag the brand new Paperless Essentials Cheatsheet. "Paperless living has given me more time in my day to do other things that I want to do ... I enjoy sewing and I have time to get back in my sewing room now." "Going digital has improved my organization and my life 180 degrees!" 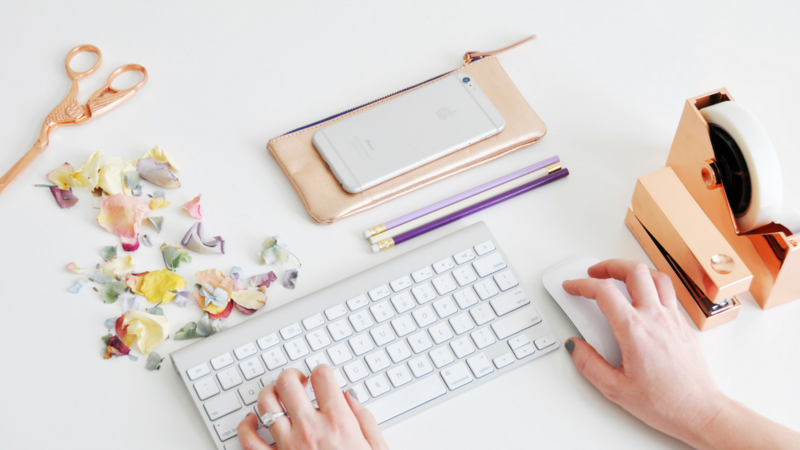 "I didn't realize how much I was underutilizing my electronics devices as functional tools for staying organized, saving time and getting things done. " "Going paperless has encouraged and inspired me to free myself of unnecessary clutter - mentally and physically. By going digital, not only can I get rid of tangible items taking up physical space, but it also allows me to be more productive and focus on what's most important in my life." Going paperless can sound like a big and scary project, but don't worry, I've got your back. I've compiled the TOP THREE things that you need to know in order to be successful with your paperless endeavors. Trust me, the process is MUCH easier than you think. Yippee! You're ready to go paperless. Congrats. Just enter your details below to get access. I agree to receive emails and ads from Simplify Days about products and special offers + free tips, tutorials and inspiration. I also understand that I will never receive spam from Simplify Days and that I can unsubscribe at any time.